Kati has been incredibly influential in my life. I met her in my first year in college, and she immediately made me feel cared for. I didn’t know too many people as generous as her with all aspects of her life, but she really took me under her wing. The last time I saw her was her wedding 6 years ago to this incredible man Herb. It was SO sweet for my soul to catch up with them while we played through Yosemite Valley. They kissed. Played tag. Chased each other. Made out some more. Embraced emotional moments. Jumped on riverbeds. Splashed around. It was FUN. That’s what I hope for all my people; that we can soak in all the fun, intimate, goofy, romantic, + spontaneous moments. 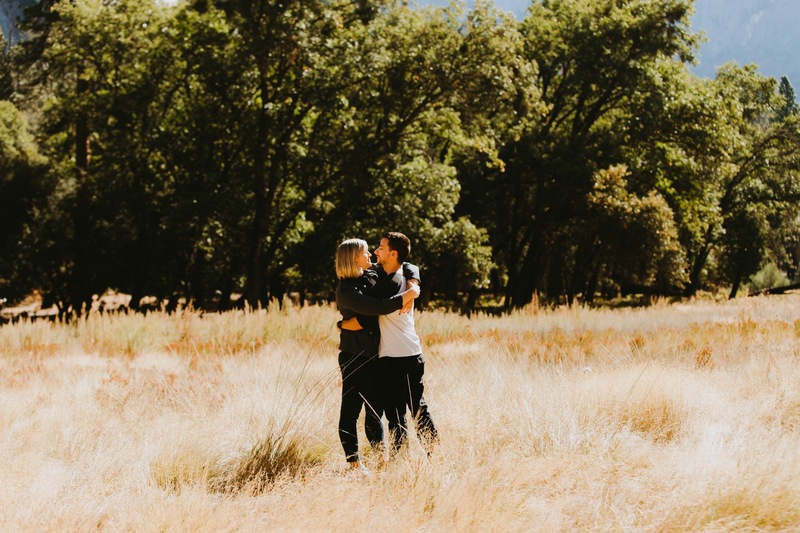 There shouldn’t be stress involved, or pressure to look perfect, but rather these sessions/weddings should be about taking every moment captive in your heart. That’s my hope. That you will hold on deeply to each other & these memories you’ve made.